WP Store Pro is a modern and advanced premium WordPress eCommerce/WooCommerce theme. It is a feature-rich online store theme with 4 different elegantly designed layouts. The theme is best suited for all kind web shops such as food and drinks, interiors, fashion, corporate, technology, accessories etc. WP Store Pro is a modern and advanced premium WordPress eCommerce/WooCommerce theme. It is a feature-rich online store theme that comes with 4 different pre-designed web store templates. The theme is best suited for all kind online shops such as food and drinks, interiors, fashion, corporate, technology, accessories etc. It comprises lots of customization possibilities and multiple options. You can easily create a complete eCommerce site within few minutes. No coding skill required. Integrated with the best ever WooCommerce plugin, YITH WooCOmmerce Wishlist, YITH WooCommerce Compare and YITH WooCommerce Quick View – WP Store Pro offers ultimate eCommerce features and functionalities. Besides, it includes 24 custom widgets, mega menu integration, multiple slider options, multiple category display layouts, highly configurable homepage sections and much more. The theme supports YouTube video integration on popup or background. It is a fully responsive and SEO friendly WordPress template. Create a stunning online store faster than ever with WP Store Pro. One Click Demo Import Import the demo content on your site and then edit it to make up your site as in the demo. Now available 4 different layouts. Call To Action Options for creating attractive CTA with simple, with form, with video embedd options. YouTube Video Integration on popup banner Show a banner and video on popup or background. Product and Post search Search within site or only products or posts. Payment partners logo showcase Show your payment partners and seals in footer. Woocommerce Options Enhanced options with ratings and layouts adjustable. Innerpage options Options to enable/disable displaying call to actions and slider on inner pages/posts. Header Style and Colors Options Choose from different header layouts like sticky headers,left,center,right logo/menu headers and customize them. Page templates Create pages using the beautiful page templates. Custom shortcodes Options to use custom shortcodes to add different types of contents in the site. Custom Widgets Custom widgets available for helping you add new contents like CTA, sliders,teams,testimonials,etc in the site. 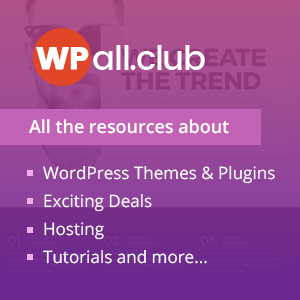 Hey Buddy!, I found this information for you: "WP Store Pro – Best Premium WooCommerce Store WordPress Theme". Here is the website link: https://8degreethemes.com/wordpress-themes/wp-store-pro/. Thank you.